This hand crafted Protea is expertly shaped to resemble the flower as closely as possible using durable, thick wire onto which the beads are then skillfully threaded. This Protea will adorn any space , be it home or office and will never wilt or need watering! 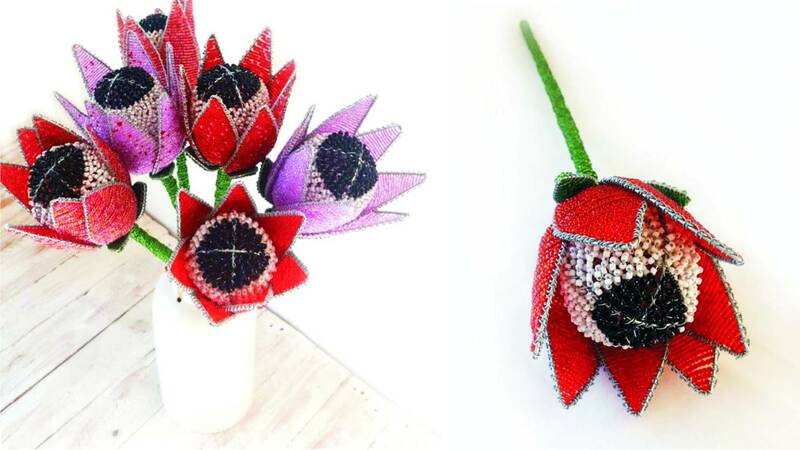 The Beaded Proteas are available in 5 colour variations: Red; Red with pink speckle, Rose; Pink and Pink with Red speckle.